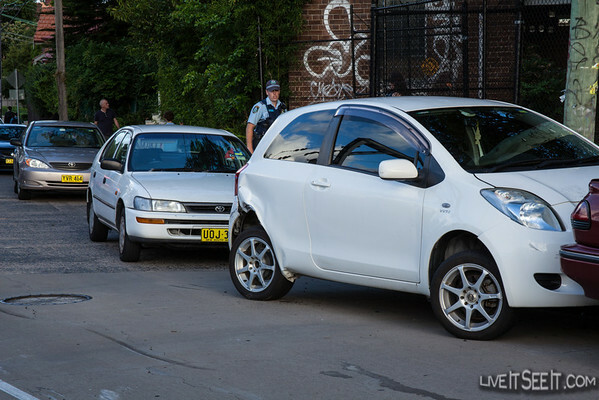 Shortly after 5.30pm a young woman driving a Honda Sedan impacted a parked car and rolled her vehicle in Stanmore. The car landed on the roof and the driver was able to extricate herself from the vehicle. Police from Newtown LAC attended the scene and closed a section of Trafalgar Street in both directions for approximately an hour. NSW Ambulance attended and treated the driver for minor injuries before transporting her to hospital. 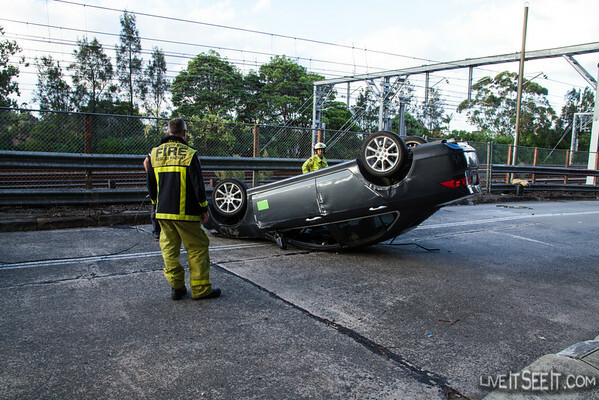 A pumper from NSW Fire & Rescue’s Leichhardt station attended the scene to ensure fire safety and help remove debris. 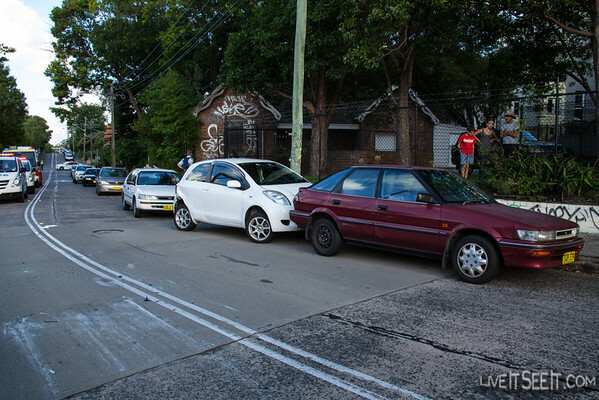 A number of parked cars were damaged with one being impacted from the rear before being forced into a second vehicle. 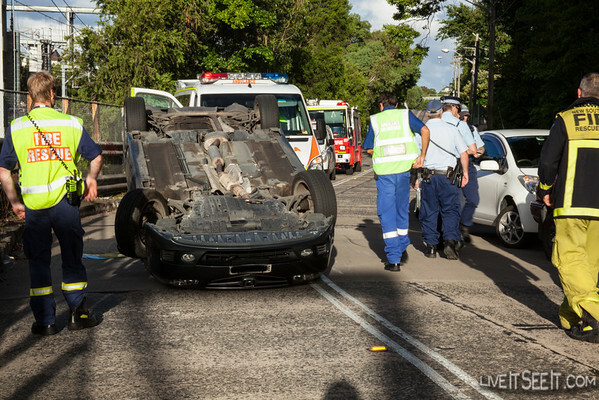 NSW Police took a statement from another motorist and are expected to speak with the driver further at a later stage. On the afternoon of December 28, 2012 a Utility collided with a power supply poke on Botany Rd at Alexandria. The collision snapped the pole at its base, bringing it to the ground along with wires. 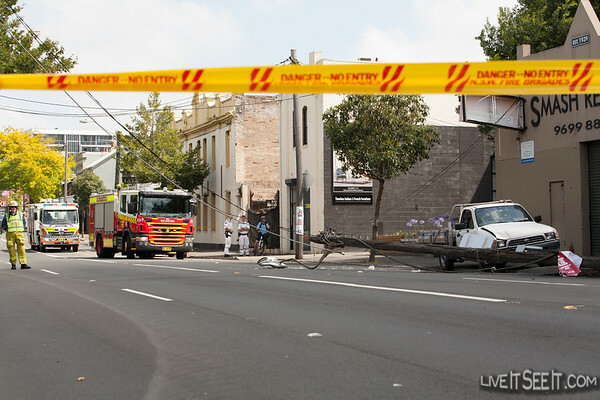 Botany Rd was closed in both directions while Emergency Services awaited the arrival of Ausgrid crews to disconnect power. The driver was attended to by Paramedics on scene but was not transported. 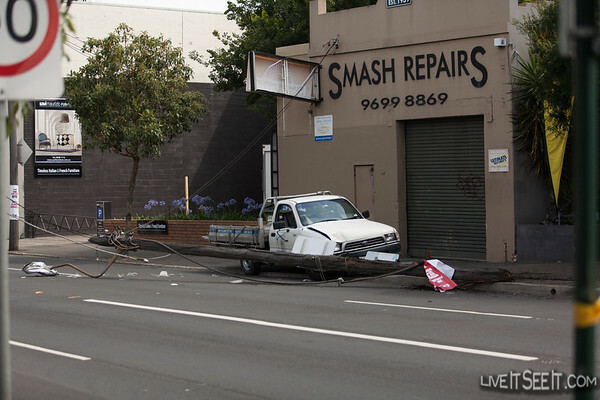 Ironically, the incident occurred in front of a smash repair business.